Influenced by deeply rooted cultural beliefs, family members caring for Japanese American seniors — this country’s largest ethnic population over age 65 — are vulnerable to ailments attributed to physical and psychological stress, say experts. In separate studies conducted at Stanford and San Jose State universities and in Hawaii, researchers found that while cultural values can help individuals cope with day-to-day challenges of caring for aging loved one, those same values can keep caregivers from addressing their own needs. Palo Alto clinical psychologist Dr. Lisa M. Kinoshita and co-researcher Dr. Dolores Gallagher-Thompson, reporting in Clinical Gerontologist, state that such values served as coping mechanisms for the Issei struggling to survive in their adopted country. Issei turned to gaman and shikata ga nai when faced with adversity. To illustrate their findings, Kinoshita and Gallagher-Thompson cited the case of a Nisei woman, 77, who was caregiver to her husband suffering from dementia. The woman sought psychotherapy because she wanted her adult children and her daughter-in-law to help her with “socializing” her husband. When her children didn’t offer their help, Ms. S would become upset and frustrated. She relied on gaman and shikata ga nai to allay her disappointment. Kinoshita and Gallagher-Thompson reported that Ms. S expected her non-Japanese daughter-in-law to help with the caregiving responsibilities. When Ms. S’s unspoken expectations were not met, she became increasingly resentful. The clinicians guided her in practicing assertive communication to address asking her children for help. “She soon discovered that all of her children were happy to assist her but had not realized her need because she did not directly communicate it to them,” the report stated. An estimated 30,000 JAs serve as informal caregivers, according to Los Angeles-based Keiro Senior HealthCare, and the numbers are increasing steadily. Dr. Steven P. Wallace of UCLA’s Center for Health Policy Research and School of Public Health predicts the number of Asian American elders will quintuple by 2050. Dr. Nancy Hikoyeda, an ethnogeriatric specialist for the Stanford Geriatric Education Center and former director of the San Jose State University Gerontology Program, says that enryo can prevent family caregivers from seeking professional help at an early stage but adds that attitudes toward institutionalization are changing, and Sansei are more open to outside assistance than their parents or grandparents were. Ms. D, a 65-year old Sansei, appeared cheerful and upbeat whenever she visited her dementia-afflicted mother, but soon after leaving her mother in the assisted living facility, Ms. D would sit in her car and sob. Her blood pressure became elevated, and she began to lose some of her hair. Although she didn’t realize it, Ms. D was experiencing a form of depression over the “loss” of the mother she had known all of her life. Three and a half years ago, Mr. A, a 59-year old Sansei, noticed that his parents’ “senior moments” were becoming more frequent. “They didn’t seem to be able keep track of their meds, and I was worried about what they were eating and about whether they should be driving,” he recalls. Rather than continue to stress over what to do, Mr. A decided to take full control. He contacted an assisted-living facility and put Mom and Dad on the waiting list. After they were safely situated, Mr. A’s new concern is what will happen if their dementia progresses at a different rate. If one has a more debilitating form of dementia than the other, what if each parent requires a different level of care. “If they have to be separated, that would be hard for them,” he worries. Meanwhile, efforts to encourage his sibling to share the caregiving responsibilities on a regular basis have been unsuccessful. “When I first noticed that our parents were going to need help, I asked my brother, ‘Why don’t we take turns?’ He did it at first, but that didn’t last very long,” says Mr. A.
o Set realistic goals; break large tasks into several small ones. o Try to be with other people; confide in someone. Support groups can serve as an emotional outlet and an information resource. o Participate in activities, such as mild exercise, going to a movie, ballgame or a community event. o Let your family and friends help you. o Remember: Positive thinking will replace negative thinking. When Frances Kakugawa’s mother was diagnosed with Alzheimer’s, she turned to poetry to express her emotions. Soon Kakugawa was able to see her mother’s dementia as a gift, leading her to develop ways to teach others how to channel their emotions in a constructive way. 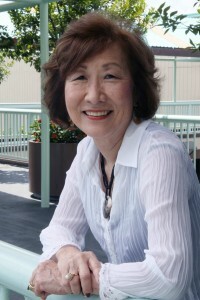 An award-winning children’s author and poet, Kakugawa wrote “Breaking the Silence: A Caregiver’s Voice” among other works. “Breaking the Silence” has been acclaimed as a teaching tool for the field of gerontology. “In the Japanese culture, we try to keep things in the house,” she told The Rafu Shimpo. Many believe it’s a sign of weakness to have to go to a support group.” She believes that more JA caregivers would benefit from joining. Kakugawa conducts three such support groups in Northern California, teaching poetry and memoir-writing. “Sansei are really very private people,” she laments, saying she wishes more would take advantage of help that is available to them. Recently, someone in Kakugawa’s group complained, “My mother just wants to push my buttons. She’s so negative.” Kakugawa encouraged the individual to try writing poetry. Soon, she was able to regard her mother’s negativity differently. She began to see her mom as full of love. The San Fernando Valley Japanese American Community Center holds Alzheimer’s support group meetings on the first Saturday of the each month, 10 a.m. to noon, except July, September and December. The center is located at 12593 Branford St., Pacoima. 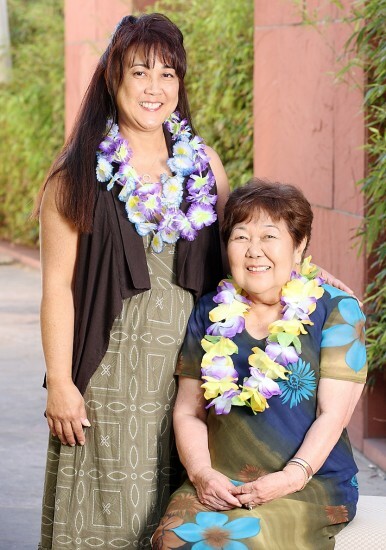 For information about additional caregiver support programs in Gardena, San Fernando Valley, and L.A., contact Harumi Takehama at (213) 473-1602. Yu-Ai Kai in San Jose hosts the Akiyama Wellness Center to help seniors who are challenged with caregiving for parents as well as caring for children and grandchildren. Contact Julie Hubbard, activities coordinator, or Lisa Itatani, Wellness Center coordinator, at (408) 294-2505. Mr. A, meanwhile, is dealing with feelings of anxiety by focusing more on his health. “I’m going to try my hardest to be in the best shape I can,” he says, adding, “I’m thinking of buying long-term care insurance for the first time. I don’t want to be a financial burden to my kids.